In line with clients' diverse requirements across the country, we are offering a commendable range of Shrink Packaging Machine. For strictly adhering to industry guidelines, we manufacture the offered machines employing quality-proven raw material and high-end technology in conformation with current market norms. The offered machines are broadly demanded in various industries for effective packaging. Clients can avail the offered range from us in the various technical specification at competent prices. Modern Packaging System as the name suggests provides a complete solution in the field of packaging. It is a proprietorship concern established in the year 1991 and situated in Kolkata. The proprietor of the concern is Mr. R.C Saha. He has done Masters in Packaging Technology from Indian Institute of Packaging, Mumbai. He is also an Associate Member of Institute of Packaging, London. He has got vast knowledge in the field of packaging and related industries. He is also the recipient of India Star Pack Machinery award from IIP, Mumbai. The concern mainly deals with packaging and related activities and is operating in this field for more than 25 years. It also trains the new and existing entrepreneurs in the packaging industry. The concern provides support in the field of packaging by professional Food Technologists and Chemists. This company only approved supplier of TEA BOARD OF INDIA for Automatic From Fill & Seal Machine to get subsidy from Govt. After the success of the proprietorship concern Mr. Saha incorporated a private limited company – Modern Flexi Packaging System Pvt. Ltd. in the year 2010. The company boosts of highly qualified professional and dynamic employees who have vast experience in the field of packaging. The group have own design & training house to give support to customers free of cost. 1. Automatic Form-Fill and Seal (FFS) Machine- for packaging of products like tea, spices, detergent, cosmetics, pharmaceuticals and different types of food items, different forms of powder, granules, semi liquid pastes, liquid products like shampoo, oil, milk, water and others. 9. Vacuum Packing (single and double chamber), etc. 10. 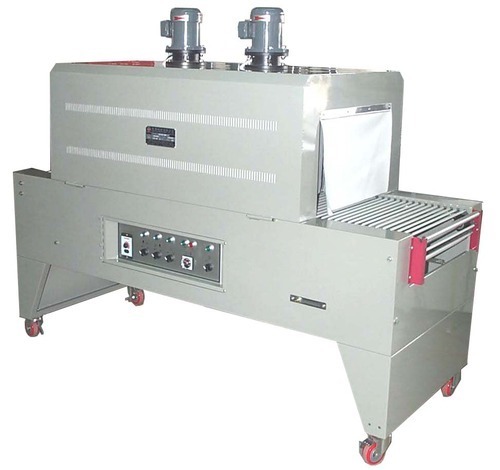 Bottle filling, capping, washing, ( Automatic & Semi Automatic ) Inspection Table, Gravity Filling. 16. Many other packaging machineries. 17. All types of spare parts. The group also provides consultancy services to its customers as regards packaging of the products.